Security is a critical component of any web or mobile application. Two-factor authentication ensures that only the user signing in is authorized to use a given account. Whether your FileMaker solution is set up with internal or external (via Open Directory, Active Directory, OAuth identity provider) authentication, adding two-factor authentication is a good idea to have in addition to following FileMaker's security guidelines. 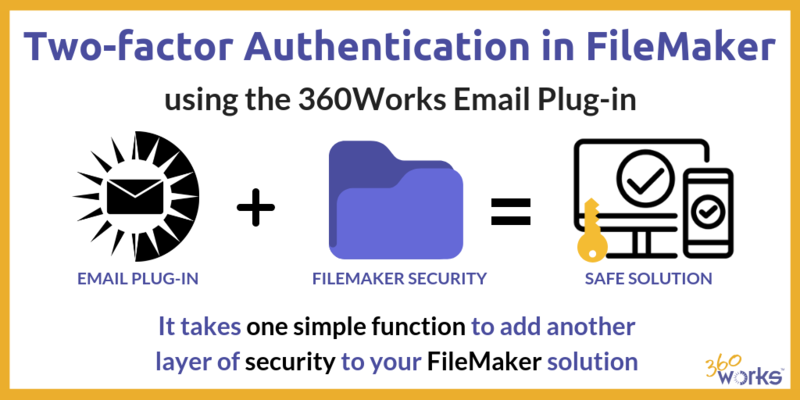 Something cool you can do with the 360Works Email plug-in is add two-factor authentication to your FileMaker solution as an extra challenge to the user. This adds an extra layer of security, and as the name suggests, users must provide two pieces of information in order to access the application. It sends a 6-digit code to the user's cell phone via text at the time of sign in and will not allow login until the correct code is provided. 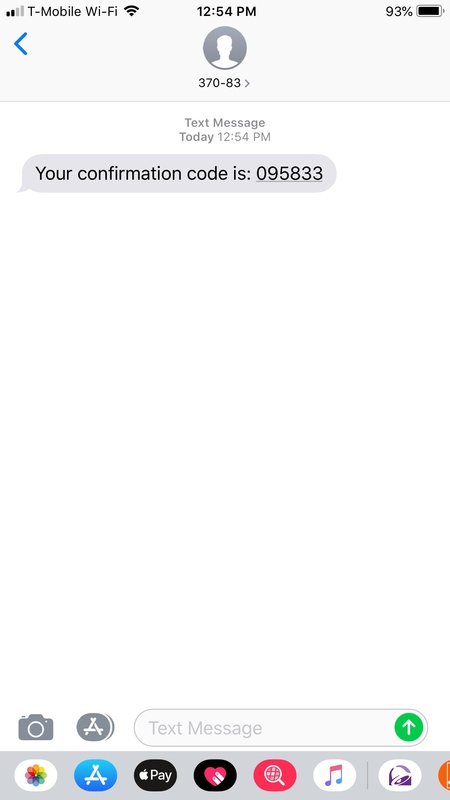 The 360Works Email Plug-in ships with SMS functionality which enables the two-factor authentication capability. Setup is a breeze. It uses one simple function and only requires 4 parameters. In the parameters, you will specify your AWS credentials, the user's phone number and the code generated for the user. We used Floor ( Random * 1000000 ) for this example. DEMO FILE DOWNLOAD: Try it out with our example FileMaker file! The Email Plug-in is essentially a 2-for-1 deal. When you purchase it you receive the SMS/text message functionality as well as the powerful email sending capabilities of the plug-in, such as sending and receiving HTML formatted and multiple attachment emails with SMTP, POP, and IMAP servers. There are license types available from single user up to unlimited users with server-side usage. If you have additional questions or would like us to implement this functionality into your solution, contact us and we will be glad to help.